During our testing phase we have been approached by a number of companies who believe Taximap could be of benefit to their business. This blog post explores the merits of each. Options such as zones, peak hours, size factor, and price to pickup can all be employed to give an accurate estimate for removals, limousines, couriers, coaches, minibuses and more…. 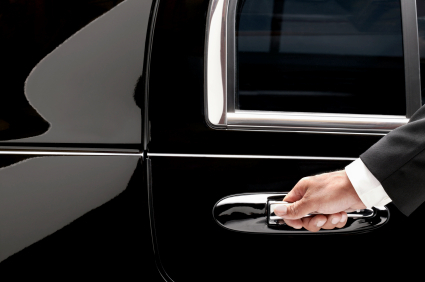 From the airport to the office or just for a night out on the town, chauffeur driven limousines are a luxury often viewed as too expensive by most, but by integrating Taximap in to your website and marketing material limousine companies can demonstrate how affordable such journeys can be. The ‘Peak Hours‘ facility offers the option to adjust the limo journey price per mile based on time of day and the new ‘Zones‘ feature helps define the price for specific destinations. With this in mind, a highly accurate journey price estimate can be delivered to customers instantly. Taximap could also be used by courier companies offering a price per mile delivery model. Motorcycle couriers and, increasingly, van delivery services often use a per-mile calculation to work out the price of a delivery. I imagine this is often simpler than using weight and dimensions, and Taximap fits right in with this model. Clients would be able to instantly see a price estimate, and the journey from base to pickup could also be factored in using the ‘Price per mile to pick up‘ setting. Extending beyond courier services, removals companies can also use Taximap to offer a customer a simple means to work out a price estimate. The ‘Size Factor‘ setting could be used to show prices for different vehicles depending on how much a client wants to move. Where a larger number of people need to be moved about as a group – for parties, weddings or event, for example, coaches or minibuses are the natural choice. Taximap can help customers plot out their route, adding up to 20 stops to a single journey, showing the estimated price at the end. The booking system even offers a ‘Wait‘ option which lets the user define how long the coach should wait at each stop. So, you can see Taximap is a truly flexible system that can be applied to a myriad of services, offering a real advantage to customers. And since it’s free (in testing) why not give it a go? We’re always interested in what our customers have to say about the service – through our forum or contact pages – and this means we’re always improving the service, so please leave us a comment or register with Taximap today while it’s free! Not sure you’d get a grand in a limo?